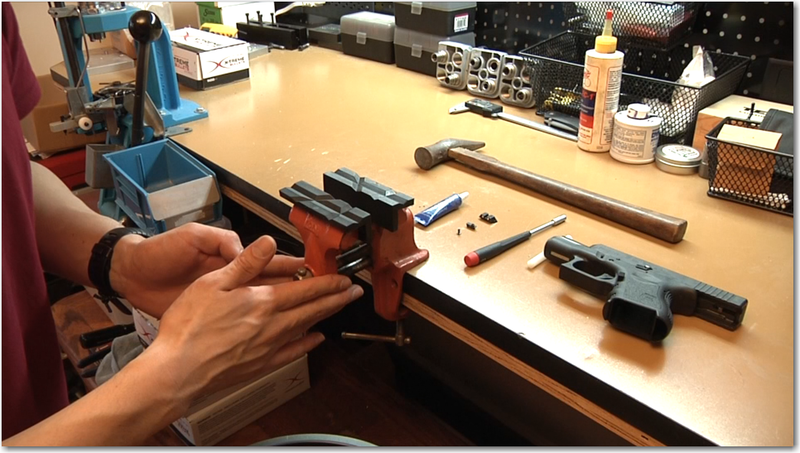 Learn how to quickly install new Glock sights without having to buy an expensive sight pusher. 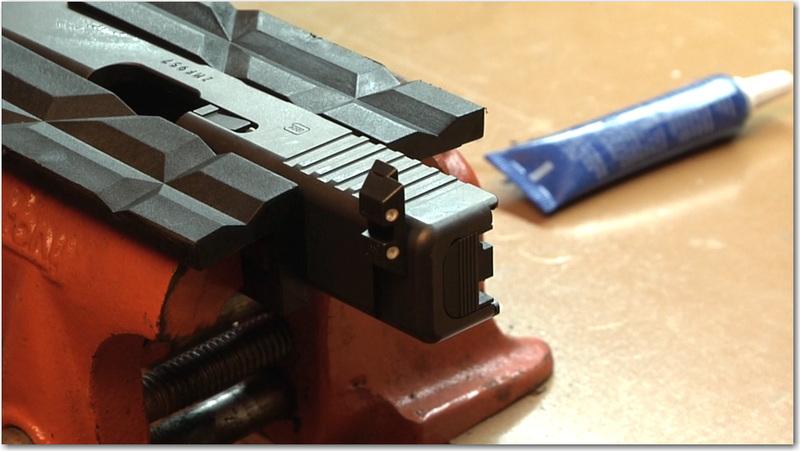 Our example is with OEM night sights, but the same process can be used for other sights. If you ever think you’ll need your Glock in a nighttime situation such as home defense, self-defense, or just a night pistol course, I would recommend getting the night sights. I learned my lesson with my G17 after failing hard during a nighttime course. 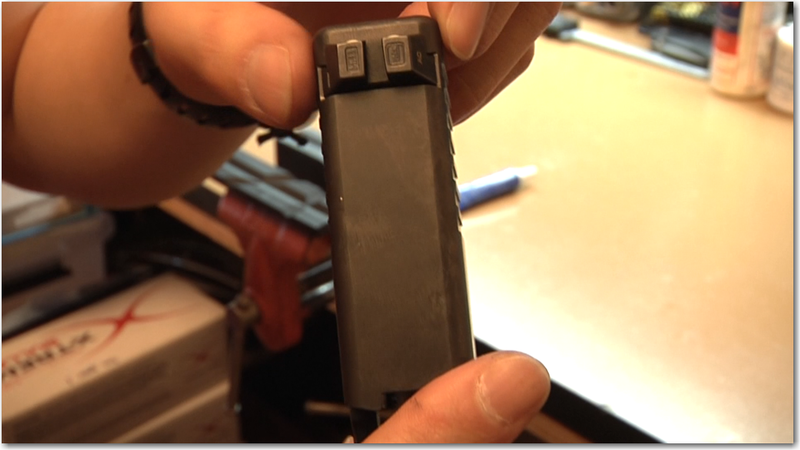 You can order your Glock with factory sights already installed, but if you didn’t, here’s how to install them easily at home without needing to pay the gunsmith ~$50. If you don’t know which ones to get…check out Best Glock Night Sights. 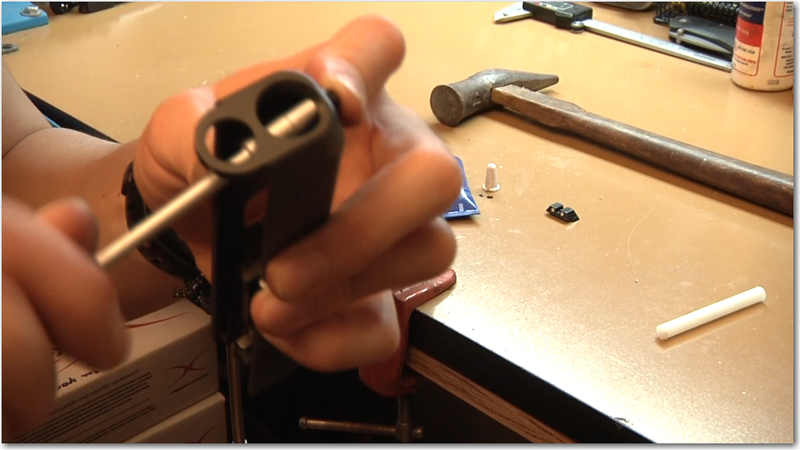 Nylon Punch: Helps prevent marring of your frame/sights when compared to a regular brass punch. 3/16 Nut Driver: For removing and installing the front sight. Thread Locker (Medium): Prevent front sight from loosening due to vibration. 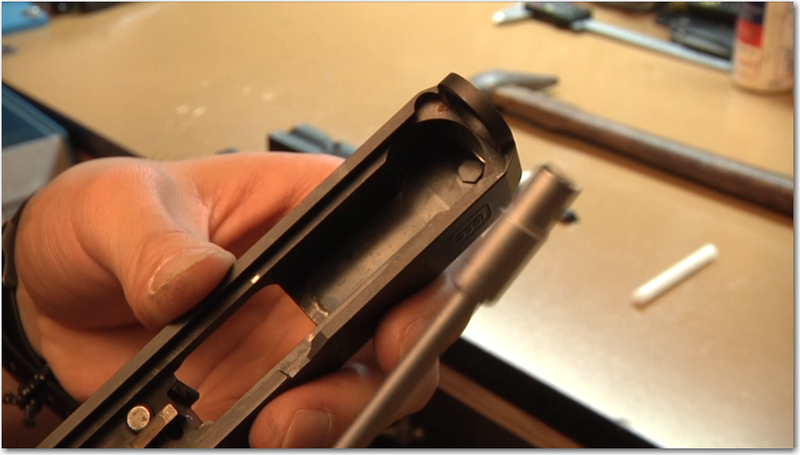 Nylon Vise Jaws: Prevent marring of your frame. Glock Night Sights: I went with OEM Glock sights (~$80) since I’m already used to them on another gun. Other great reviewed sights include Meprolight (~$80) and Trijicon varieties (~$100). Check out Best Glock Sights for some more inspiration. 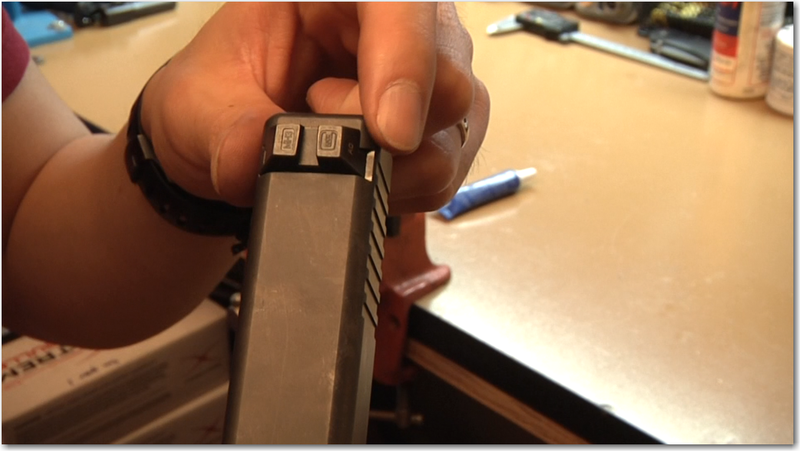 Disassemble your Glock so you only have your slide without the recoil spring or barrel. You did check if everything was safe right? And if you don’t know how to do this yet…you might want to reconsider installing night sights, or just watch the video above. Get your nut driver out and remove the front sight. I like to screw in the old screw back into the sight for safe keeping. 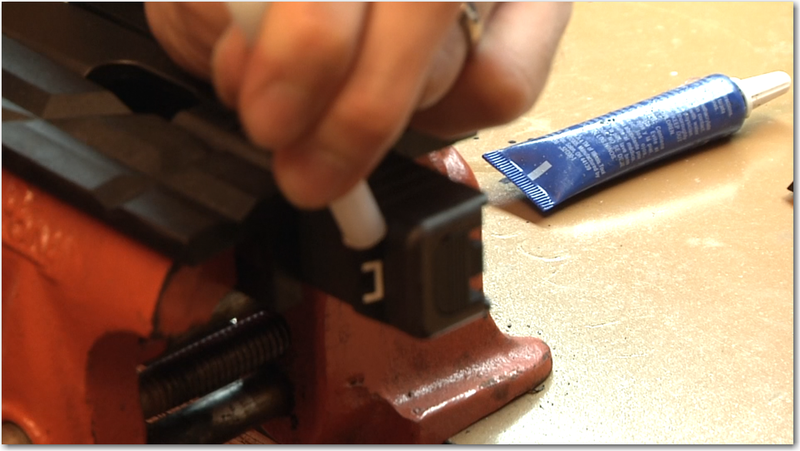 Place in the new night sight facing the right direction and put a little dab of the medium strength thread locker onto the new screw. I like to place the screw first into the nut driver before applying. Then hold the front sight so it doesn’t pop out, and screw it in. Don’t torque it too much since the screw can break. Double-check that the sight is straight. Put on the nylon jaws onto your vise and place the slide. I like orienting it so that I’m hammering downwards. 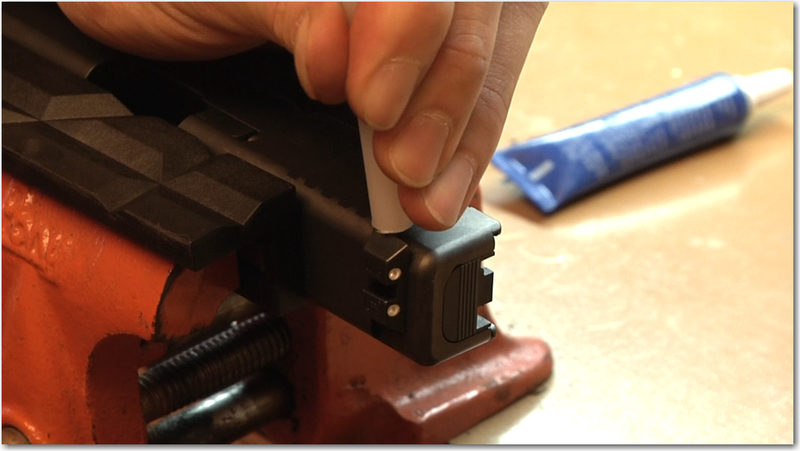 Then take the nylon punch and hammer and start hammering down on the old plastic sight. I like to hammer more towards the base of the rear sight, but with the nylon punch, I end up tilting it so I match up with the angle of the sight. It should come out pretty easily. Put in the new sights (oriented the right way…I can’t believe I need to say this but I’ve seen people mess up). With the OEM versions, they drop down about half-way. Start hammering it in with the nylon punch. It goes in pretty easily as well. When it looks pretty close to the center, I take out the slide to double-check. In this case, it looks like I need to hammer in just a little bit more so the empty edges are even. After one more tap, it looks pretty good and is ready for the range. I sometimes use a micrometer to double-check but I think your eyes will tell you if something is off. Then time for the ultimate check at the range or you can use a laser trainer (which is a sweet practice tool anyways). The MantisX Training System is great also! Let me know how your install went, and if you didn’t get the Glock OEM sights, what did you get instead? That wasn’t so hard…was it? If after learning how to do it without a tool…you still want to use one…take a look at the Universal Sight Pusher. Want more of our favorite guns and gear recommendations? Check out Editor’s Picks. Love my TruGlo TFO sights. Just got some TruGlo TFX Pro sights, used this guide to install them and came out perfect. Maybe I didn’t use all the fancy tools to do it but these TruGlos use a key to lock them in with little friction on insertion so it was easy. Thanks! Very helpful tutorial Eric. I bought the Trijicon sights, and nylon drift punch. Followed your directions and they went on easily and look perfect. The local shop here charges 25$ for sight install and never seem to put them on centered.